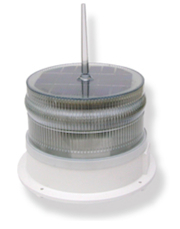 Solar Marine Light 4 Nautical Mile white. 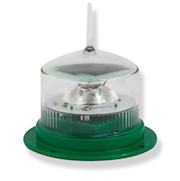 Marine Lantern M650 Solar Powered Beacons multipurpose solar-powered marine light suitable for virtually any navigation or hazard-marking requirement up to 4 nautical miles in range. 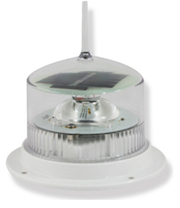 Solar Powered Marker M650 multipurpose solar-powered marine light suitable for virtually any navigation or hazard-marking requirement up to 4 nautical miles in range. Solar LED Marine Lights combines a compact, high-efficiency solar engine with premium components and a rugged design for best-in-class performance at an optimal price. This small format lantern delivers up to 445 cd (IALA peak, white) and can achieve up to 7.5 NM range at T=0.74. Solar Marine Lights GreenSolar LED Marine Lights combines a compact, high-efficiency solar engine with premium components and a rugged design for best-in-class performance at an optimal price. This small format lantern delivers up to 445 cd (IALA peak, white) and can achieve up to 7.5 NM range at T=0.74. Solar Marine Lights Red Solar LED Marine Lights combines a compact, high-efficiency solar engine with premium components and a rugged design for best-in-class performance at an optimal price. This small format lantern delivers up to 445 cd (IALA peak, white) and can achieve up to 7.5 NM range at T=0.74. Solar Marine Lights Blue Solar LED Marine Lights combines a compact, high-efficiency solar engine with premium components and a rugged design for best-in-class performance at an optimal price. This small format lantern delivers up to 445 cd (IALA peak, white) and can achieve up to 7.5 NM range at T=0.74. Solar Marine Lights Yellow Solar LED Marine Lights combines a compact, high-efficiency solar engine with premium components and a rugged design for best-in-class performance at an optimal price. This small format lantern delivers up to 445 cd (IALA peak, white) and can achieve up to 7.5 NM range at T=0.74. Self-Contained Marine Lantern Red Solar LED Lantern Up to 10 NM, A premium, full-featured lantern suitable for achieving longer ranges in challenging insolation locations. Average range is 3 to 6 NM with the ability to reach up to 10 NM. 96 and 200 Wh battery pack options available. 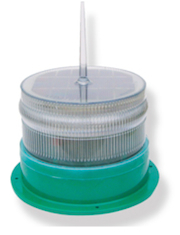 Solar Marine marker light Green, Solar LED Lantern Up to 10 NM, A premium, full-featured lantern suitable for achieving longer ranges in challenging insolation locations. Average range is 3 to 6 NM with the ability to reach up to 10 NM. 96 and 200 Wh battery pack options available. 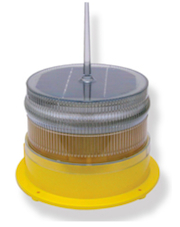 Solar Marine marker light Yellow,Solar LED Lantern Up to 10 NM, A premium, full-featured lantern suitable for achieving longer ranges in challenging insolation locations. Average range is 3 to 6 NM with the ability to reach up to 10 NM. 96 and 200 Wh battery pack options available. Solar Marine marker light , Solar LED Lantern Up to 10 NM, A premium, full-featured lantern suitable for achieving longer ranges in challenging insolation locations. Average range is 3 to 6 NM with the ability to reach up to 10 NM. 96 and 200 Wh battery pack options available. Solar Marine marker light Blue, Solar LED Lantern Up to 10 NM, A premium, full-featured lantern suitable for achieving longer ranges in challenging insolation locations. Average range is 3 to 6 NM with the ability to reach up to 10 NM. 96 and 200 Wh battery pack options available. Obstruction Solar LED Light RED, Solar LED Lantern Up to 10 NM, A premium, full-featured lantern suitable for achieving longer ranges in challenging insolation locations. Average range is 3 to 6 NM with the ability to reach up to 10 NM. 96 and 200 Wh battery pack options available. 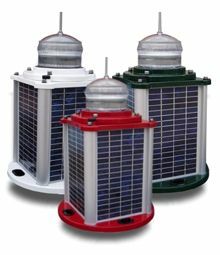 Offshore Wind Temporary and Construction Solar LED Lighting Green, Solar LED Lantern Up to 10 NM, A premium, full-featured lantern suitable for achieving longer ranges in challenging insolation locations. Average range is 3 to 6 NM with the ability to reach up to 10 NM. 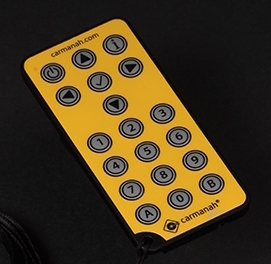 96 and 200 Wh battery pack options available.